Will it be an Outdoor Sauna, an Indoor Sauna or a Portable? The first step in buying a sauna kit is to decide whether you want an indoor sauna or an outdoor sauna. Depending on the space available on their property, some folks buy sauna kits to enhance their backyards. A backyard sauna can serve equally well as a private sanctuary and a gathering place for relatives, friends or neighbors. Regardless of where it's located, how a home sauna is utilized is ultimately up to its owner. You will need to decide whether you buy a prebuilt sauna kit that can be assembled in 2 to 5 hours or a D-I-Y sauna kit that will take 24 to 30 hours to install but will save you $3,000 to $3800. Can You Build a Sauna with a Do-It-Yourself Kit? Even if you only have a few tools and don't think of yourself as an especially skilled handyman, you should have little if any difficulty building your own indoor or outdoor sauna using a pre-cut sauna kit. And, if you know of another sauna bath enthusiast who would be willing to help you with the project, assembling your do-it-yourself or D-I-Y sauna kit (as a pre-cut sauna kit is sometimes called) should be even easier. We are here to make it easy for you! 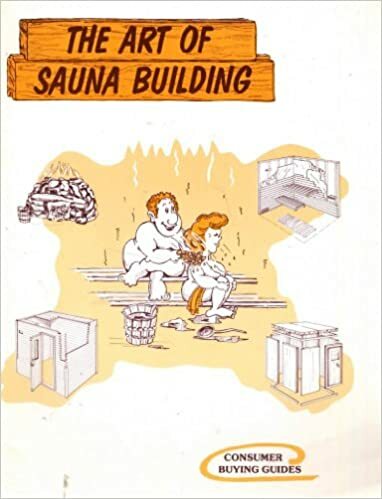 We have helped over 65,000 sauna customers install their saunas since 1974. This article summary will be posted here in several days. This article is so fact-filled that it is found in our main library of sauna articles.